You wouldn’t believe what missionaries got up to. From chasing wild bulls in the bush to drinking on a convict ship, their interesting antics lead to many a pious and passive-aggressive argument between them. Soon, you will be able to update yourself on all of the latest missionary gossip from the comfort of your own home. Thanks to the generosity of the Hocken Collections and my tireless labour, more letters and journals of early New Zealand missionaries will be available on the internet for all to read. 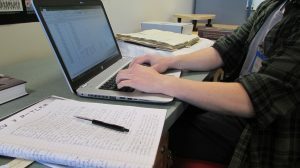 Marsden Online is a website built by the Otago University Library and the Hocken Collections for the purpose of making historical documents more accessible to the public and to students. 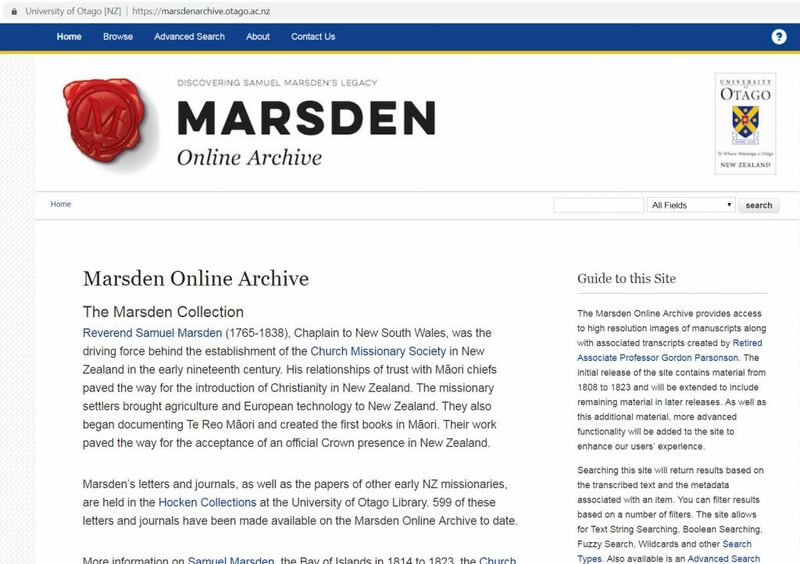 As can be seen in its name, Marsden Online is based on material that relates to the New Zealand missionary, Samuel Marsden (1765-1838). Samuel Marsden is an important figure in the history of New Zealand because of his leading role in the establishment of the Church Missionary Society Mission in the Bay of Islands. He is often attributed as having brought Christianity to New Zealand and is said to have given the first sermon in New Zealand history on Christmas day of 1814. Marsden Online, therefore, not only holds incredibly interesting material, but also documents that are very important to New Zealand history. The website primarily holds letters and journals written by New Zealand missionaries working with and for Marsden. All of the material is Church Missionary Society correspondence taken from bound volumes kept in the Hocken Archives Collection. The founder of the Hocken Collections, Thomas Morland Hocken, acquired the documents in these volumes from the Church Missionary Society in 1903 and bound them himself. 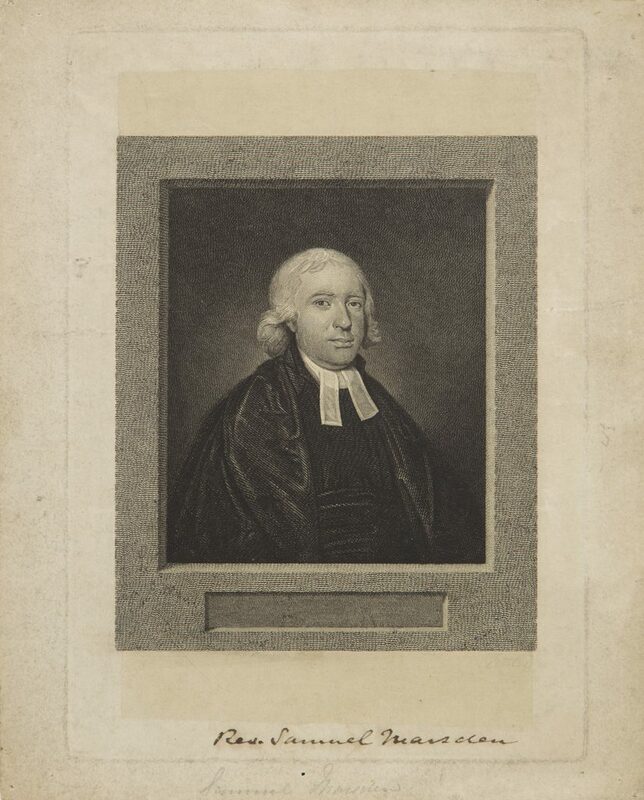 599 of the documents from Hocken’s volumes have been made available on Marsden Online to date. They can be viewed as high definition pictures and they all have corresponding transcriptions which can be downloaded in multiple file formats. 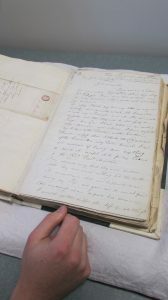 All of the digital transcriptions of these documents were written by Gordon Parsonson. Parsonson is a retired academic who has studied missionaries in the Pacific and is a key figure in the founding of Marsden Online through the enormous amount of material he has digitally transcribed for it. 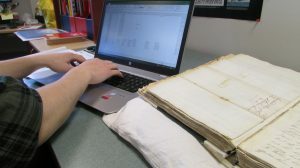 My job, specifically, has been to record the details of all of the documents held in two of the bound volumes of CMS correspondence that have not yet been added to Marsden Online. This amounts to over 300 individual documents, including letters, journals, affidavits, cheques, reports, tables, diagrams and more. By recording the details of all of these documents, such as the dates they were written and their authors, I am enabling them to be added to the website. Once images of the documents have been taken and uploaded, the information I have recorded will be assigned to the documents in order for them to be searchable on the website and will provide the reader with basic information on each document, such as who wrote it, when, who it was sent to and its physical size. I also have to assign the corresponding Parsonson transcription to each document. This can mean a lot of file-searching and reading massive amounts of rushed early 19th century handwriting, so my work does have some significant challenges. I have even had to do some transcribing myself where a transcription has been incomplete, incorrect or missing altogether. This has been my favourite part of my work, as it has allowed me to read the material in-depth. The writings of Samuel Marsden and his fellow missionaries are incredibly interesting, but don’t take my word for it, go have a look for yourself! The 313 documents I have recorded may not be available on Marsden Online for some time, but, rather than wait, you could spend that time reading the 599 already there! This entry was posted in Founding Collection, Resources by Anna Blackman. Bookmark the permalink. I'm Head Curator Archives here at the Hocken Collections and one of my tasks is to maintain this blog.